So, what does industry really think of renewables? There is growing pressure on asset owners to show they care about sustainable investment, and lack of transparency is a challenge, says Jessica Ground, global head of stewardship at Schroders. The global investment management company manages about R1.4trn in assets. According to Ground, investors must be able to see clearly what a company or asset manager has done regarding sustainable investment. A Schroders survey found that more than 70% of investors want to make sustainable investments, but find it difficult due to a lack of clarity on how it will link to investment outcomes. 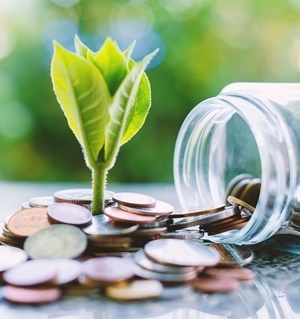 Schroders research also found that the vast majority of SA investors wanted to invest in companies which would make sure their businesses are prepared for environmental and social changes which might affect them. "The pressure is growing to show that they are being good stewards by holding companies to account," she said on Tuesday at the annual Schroders Investment Symposium in Cape Town. "Sustainable investing is on the rise and seen as more and more important. At the same time, there are concerns about performance – whether returns for clients will be compromised in the long-term." Environmental, social and governance (ESG) issues are, therefore, creating increasing headwinds for companies to navigate. In her view, the gap between companies managing to handle these headwinds and those who do not, is increasing. "All savers have a growing attention toward sustainability-related issues. It is very important among younger generations, for instance," she said. "ESG is not just about climate change. Companies are also facing greater regulatory frameworks. There is an increasing interest in sustainable investing and a want for an integrated approach." Schroders, for instance, has an approach of actively stepping away from controversial or opportunistic investments. Ground notes that even ratings agencies have started to show an interest in the ESG aspect. "There is no simple answer regarding sustainable investment. It is not about just excluding a few companies from your portfolio," said Ground. "Don't just invest blindly. Do insightful implementation to limit long-term unintended consequences. Don't just green-wash products for millennials."